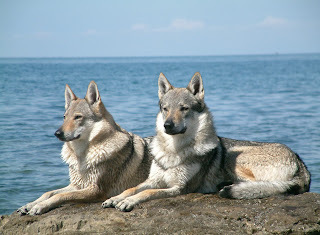 The Czechoslovakian Vlcak, or Wolfdog, is a fairly young breed. In 1955, German Shepherds were crossed with Carpathian Wolves. The plan was to combine usable qualities of the wolf, for example strength, physical build, and stamina, with the temperament and trainability of the dog. The experiment was successful and created dogs that are loyal, lively, active, and courageous. 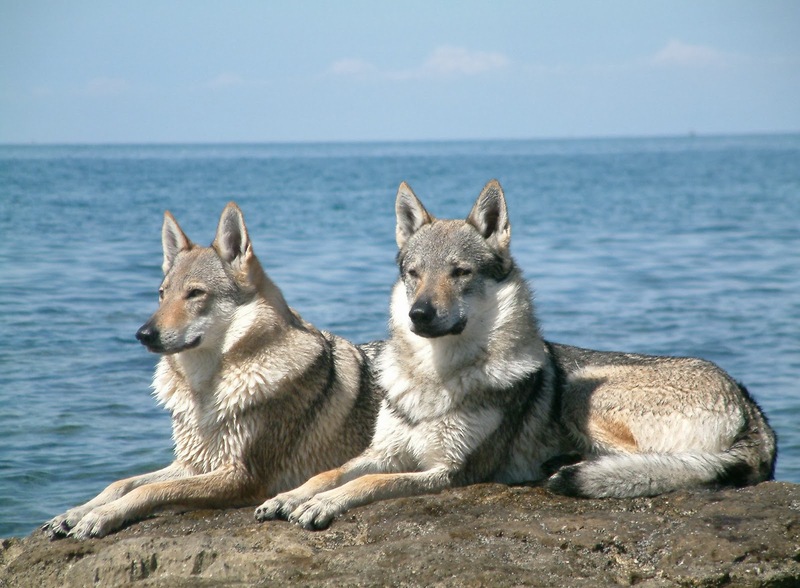 They are intelligent and can work well both independently and in a pack. Originally, the breed was used for border patrol. The Vlcak also excels in search and rescue, tracking, obedience, agility, and herding. These dogs form an exceptionally strong relationship with their family, and live well together with other domestic animals that belong to the family. Some of the wolf's passion for hunting remains, and they must be well socialized as puppies in order to do well with strange animals. They are an excellent choice for active owners who spend outdoors time with their dog. When it comes to training, they learn easily but also get bored easily, and they need to be motivated. Repeating the same exercise over and over will likely lead to failure. At the end of 2012 there were 91 Czechoslovakian Vlcaks in the US. The breed is recognized by the UKC and they are able to compete in AKC companion events. Females should weigh at least 44 lbs, and males at least 57 lbs. The average life span is somewhere between 13 and 16 years. Fun fact about the Vlcak: they rarely bark. They look so much bigger than the weight you say they are. Nice looking dogs! Emma, It is true, they are larger and heavier :) in the pattern is given minimal weight and height. How interesting; I thought they'd be much bigger too. They're gorgeous. I've always been amazing by the wolf/dog hybrids. We have some north of us that are causing all kinds of havoc - the mixture wasn't intentional.